Becoming a mom means losing your old self. Thank goodness a show understands that. There was a time when the absolute highlight of my week was a Tuesday morning breastfeeding support group. Still recovering from my C-section, I’d carefully load my baby into the car and slowly drive through Denver’s snow-covered streets to the birthing center a mile away. There, sitting in a circle on the floor with other new moms, I felt normal. We were all a bit disheveled and in varying states of undress as we fed our babies, then rocked and bounced them, trading tips on sleep training and sharing battle—I mean, birth—stories. These women were just like me: shell-shocked and overwhelmed, consumed by our babies’ changing needs and patterns, wondering where our old lives went and how long it would take to get used to our new ones. 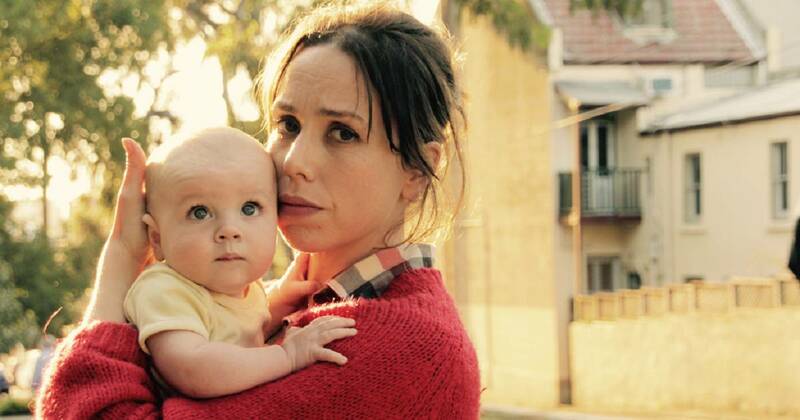 Netflix’s show The Letdown, an import from Australia, offers viewers a seat in such a support group, providing an inside look at the raw, early days of motherhood through a comedic lens. Audrey (Allison Bell) is two months into motherhood, still in that surreal, sleep-deprived state that looks a lot like survival mode. She joins a group for other parents with newborns, but at first glance, the other women appear pleased with their new role as mothers. Audrey sinks into that sense of shame that says: Everyone has it figured out except for me. Feeling judged, she lashes out at the other moms and leaves. But when Audrey tries to have a night out with her old friends, she realizes she no longer has a place there. Forced to bring her infant to their dinner party due to a childcare snafu, she tries to be her old, fun self, but her new “accessory” refuses to cooperate. After her child-free friends leave Audrey out of their next stop at a nightclub, she’s rides a bus home alone, holding her daughter and sobbing tears of rejection and grief, mourning her old life. But when she looks down at her daughter, the baby is gazing up at her, all wide-eyed innocence and adoration, and at once Audrey is overcome with love and joy, laughing as she cries. This is the ambivalence of motherhood, something that few mothers are willing to talk about and that The Letdown portrays so well. The title of the show itself—a play on the term for the release of milk from a lactating mother’s breast—is a nod to how many women find their full, interesting lives giving way to an almost primal existence around feeding their young. No matter how much you may have wanted that baby in your arms, it’s impossible not to grieve the life you once had. Women who were once free to go grocery shopping, grab a coffee, meet a friend, use the bathroom whenever they wanted are now tethered to tiny, helpless creatures. When my child was a newborn I used to wish for a time machine to go back to my early 20s, to my traveling days. I wanted to strip off the heavy cloak of motherhood and be free again. Often I felt a weight in my chest that felt strangely like grief, until I realized: It was grief. I was mourning the loss of my old self. She started dying during my pregnancy and now she’s gone forever. When I opened up about the negative aspects of becoming a mother with other moms, especially older ones, they echoed my feelings, but it can be hard to be the first one to share. Saying, “I love my baby, but I really hate being a mom sometimes,” has shock value in our culture. New mothers—and those who love them—need to see the many facets of other women’s stories, such as what it really looks like to have a terrible night of sleep training, like Audrey and her husband in episode two. After watching that, my sister told me it might as well have been an exact re-enactment of her and her husband as they attempted sleep training their colicky baby.